Taking the reins of a side that had been battered by Queensland for over a decade, Fittler made no bones about a change in selection policy that was strongly guided by the players' character, not just their talent. Despite having a sensational 2018 at club level, Ferguson was one of the most high profile victims of Fittler's 'no dickhead policy', which led to the selection of young stars Tom Trbojevic and Josh Addo-Carr on the flanks for a new-look side that broke the Maroons' stranglehold on the prestigious interstate series. "I think he will be picked if he stays injury free and his form stays the same, he just gets the sets rolling forward," Johns told Wide World of Sports' Immortal Behaviour. 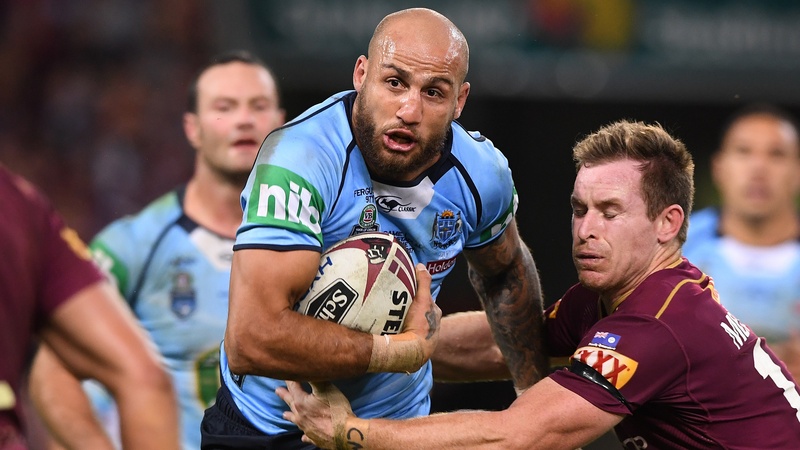 "He's probably nearly more important than a front-rower, especially at that level in State of Origin. "He'd be playing and running up to 20 times out of dummy half, last year he made the most metres out of any player by a country mile. It's an about-face of sorts after Ferguson snubbed a pre-Christmas gathering called by Fittler for potential NSW players, choosing instead to train with his new club the Eels. Whether that meeting will in fact eventuate is still to be determined after Fittler told Macquarie Sports Radio earlier this week that he hadn't yet heard from Ferguson. “Had no idea about that mate but Blake’s got my number," Fittler said when asked about Ferguson's willingness to clear the air. Given Johns and Fittler share a close relationship, the Eighth Immortal's comments may indicate that the coach is willing to give Ferguson a lifeline should he take the appropriate steps to return to the fold. For now though, it's nothing more than a warning to Addo-Carr to continue to grow and make himself indispensable to Fittler and the Blues.